Urban Decay Super Saturated High Gloss LOVECHILD & 24/7 Glide-On BOURBON | her powder room! 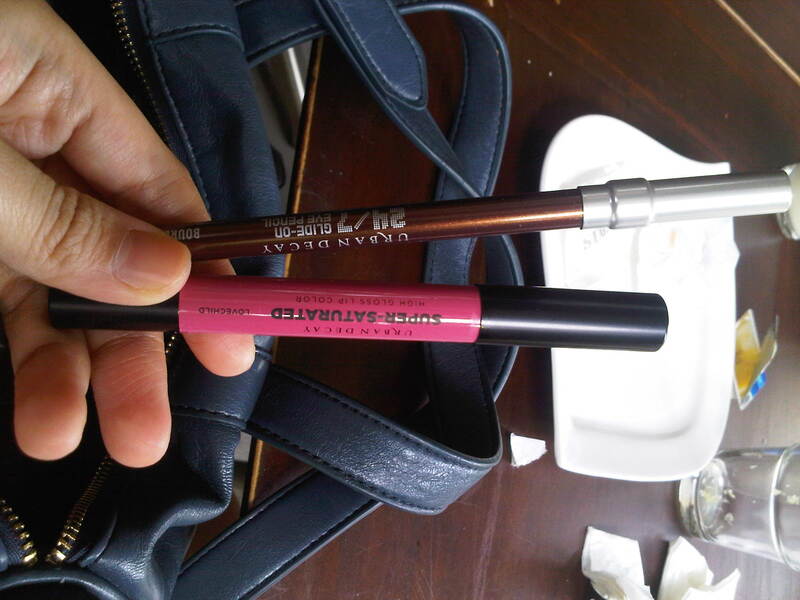 And now, I will give you my opinion about the Urban Decay Super Saturated High Gloss Lip Color in Lovechild. The name itself already explained much. It’s really glossy and the color last for 2-3 hours, and totally vanished after I take my meal time (seems like i ate it along my meal..hehee.. :p ) I have to put it on again. 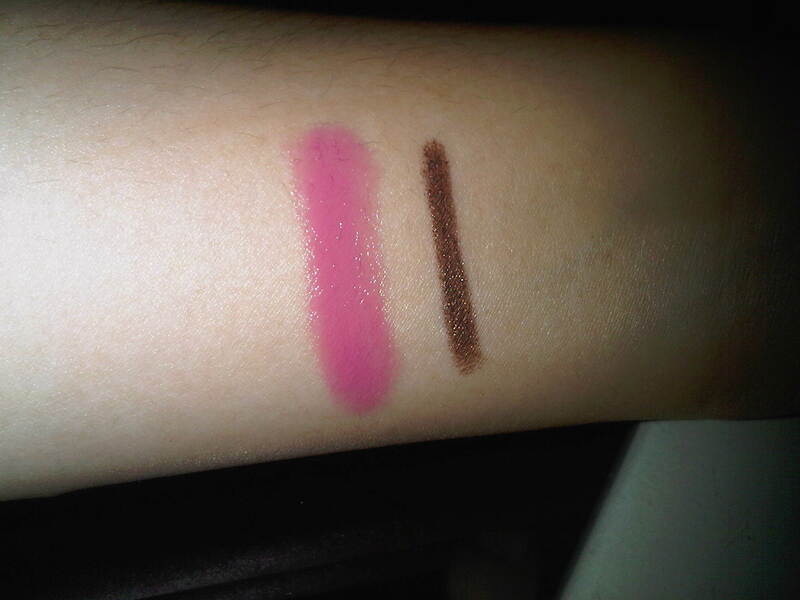 Lovechild is a pale pink, the texture is creamy and it’s really pigmented. What you see is what you get 😀 it can be build on to make it brighter and vibrant. And since it’s glossy so it will moisturize my lips and nourished it. And it’s totally make my lips smooth and healthy after each use :D. I ♥ how it makes my lips smooth and looks naturally plumpy. Bis-Behenyl/ Isostearyl/ Phytostreryl Dimer Dilinoleyl Dimer Dilinoleate, Isocetyl Stearate, Diisostearyl Malate, Polybutene, Synthetic Wax, Silica, Synthetic Beeswax, Glyceryl Caprylate, Pentaerythrityl Tetra-Di-T-Butyl Hydroxyhydrocinnamate, Tocopherol. This entry was posted in Beauty, Urban Decay and tagged beauty, Bourbon, Brown Eyeliner, eye liner, Gold Glitters, lipsticks, lovechild, made in germany, makeup, pale pink, style, Super saturated high gloss lip color, swatch, swatches, UD, urban decay. Bookmark the permalink. I just ordered the Naked 24/7 pencil set on hautelook and your review has me itching to get them already! That lip color looks delicious too! 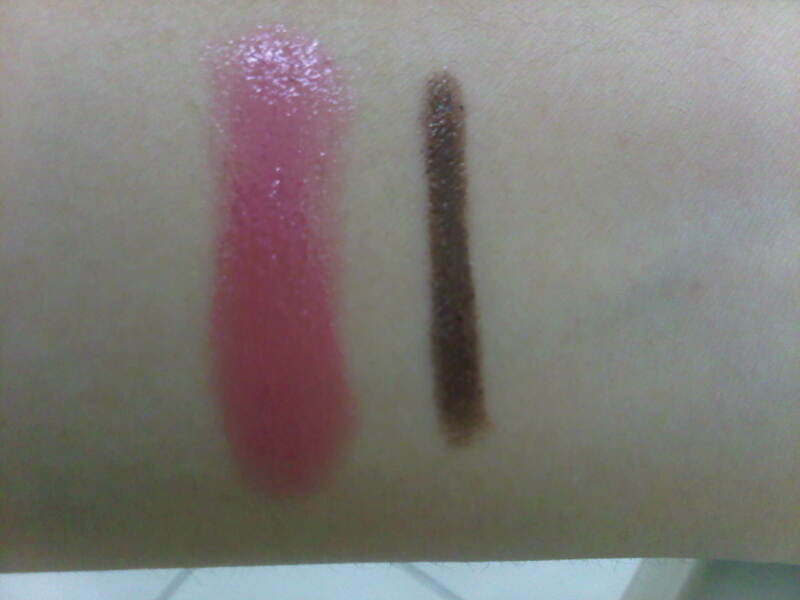 I didn’t even think to try some lippies from UD! I’m probably gonna end up with at least one! Lol I just can’t help myself. That swatch looks way too nice! I really liked the bourbon. Why not upload a picture of you wearing both of them?